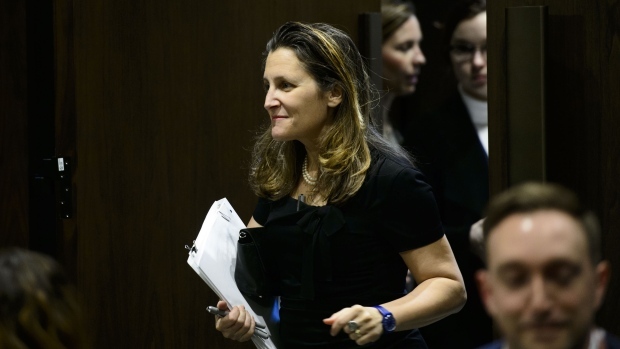 Canada has formally joined a German-French coalition aimed at saving the international world order from destruction by various world dictators and autocrats -- and U.S. President Donald Trump. 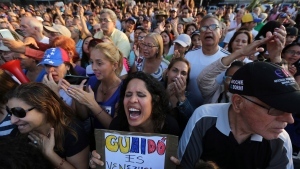 Rival political factions are taking to the streets across Venezuela in a mounting struggle for control of the crisis-wracked nation. 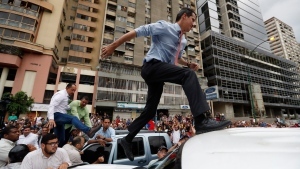 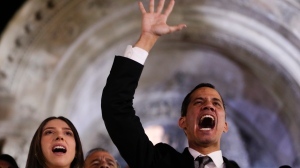 Maduro loyalists stripped Venezuela's Juan Guaido of immunity Tuesday, paving the way for the opposition leader's prosecution and potential arrest for supposedly violating the constitution when he declared himself interim president. 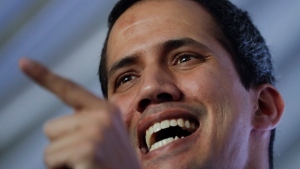 Venezuela's chief justice on Monday asked lawmakers to strip opposition leader Juan Guaido of immunity, taking a step toward prosecuting him for alleged crimes as he seeks to oust President Nicolas Maduro. 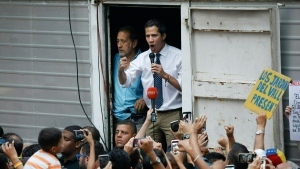 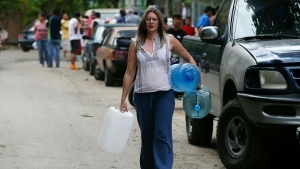 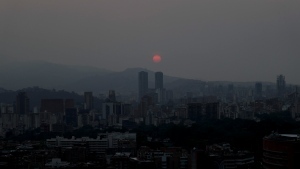 Venezuelan opposition leader Juan Guaido took his campaign for change to one of the country's most populous states on Saturday, while supporters of the man he is trying to oust, President Nicolas Maduro, held a rival demonstration in the capital after another nationwide blackout. 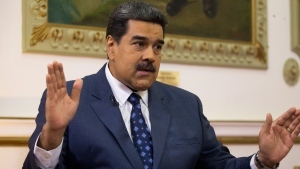 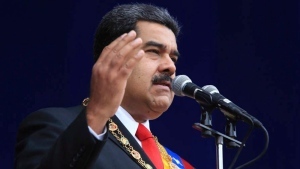 The Trump administration on Friday condemned Venezuela's President Nicolas Maduro for what it said was his reliance on foreign military personnel to stay in power and renewed a warning to Russia against getting involved. 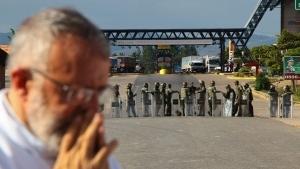 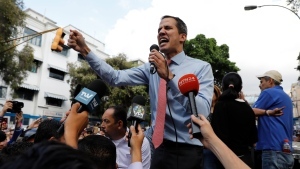 The Venezuelan government on Thursday said it has barred opposition leader Juan Guaido from holding public office for 15 years, though the National Assembly leader brushed off the measure and said it would not derail his campaign to oust President Nicolas Maduro. 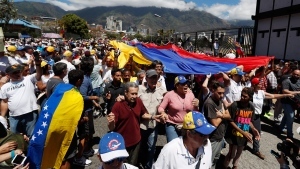 Russia has scoffed at the U.S. demand to withdraw its military personnel from Venezuela, saying that their presence in the country is fully legitimate.